Baby carriers to conveniently carry your baby have really become very popular in recent years. Especially compared to baby slings to carry your baby. The increasing demand for baby carriers is mainly due to the great convenience and comfort. What are the advantages of carrying your baby? • Stimulates the physical, social and motoring development of your little child. Do baby carriers have an ergonomic shape? Indeed, good quality baby carriers have an ergonomic shape. This applies for both you as parent as for your baby. You can easily recognise if it has an ergonomic shape. Your child will sit in a natural position when it is in the baby carrier. This can be recognised by the M-position or the frog position. The knees will be at a higher level than the legs. It is important that the back panel is not too hard, so the natural bulging of your baby’s back remains present. For you as carrier it is also important that the baby carrier has an ergonomic shape. With our offer of baby carriers, we meet your requirements. Optimum convenience and comfort is also offered. Of course, personal taste and preferences differ. Please check out the features to see what is important to you. At least you will be assured of a pleasant and ergonomic way to carry your baby. From what age can you carry a baby in a baby carrier? In principle you can already carry a new born baby in a baby carrier. However, then it is very important to select the correct baby carrier. For example, a version with a seat reducer. Or by purchasing a carrier with a back panel that can be made smaller at the bottom. This is possibly with the Emeibaby or Ergobaby Adapt for example. Also brands like Storchenwiege and Kokadi have developed baby carriers that are suitable to carry your baby with you immediately after the birth. Carriers of Marsupi are also suitable to carry your newborn baby up to the age of nine months. These baby carriers are suitable up to clothing size 74-80. Furthermore, there are carriers that have an integrated insert or carriers where you can separately purchase the insert. An insert is an interim solution. Your child can sit in the baby carrier with its legs inside instead that its legs are outside the baby carrier. However, this position can become very hot in summer for your child when the temperatures are high. Are there baby carriers that can be worn by my partner and I? Indeed there are baby carriers that can be used by both, you and your partner to carry your baby. There are pre-shaped carriers that are only equipped with straps and that can easily and quickly be put on or taken off. These baby carriers are ideal if your partner and you do not differ much in height. But if you do, we have a much better alternative. You can then take a carrier with a hip belt with straps and shoulder straps that can be knotted. This possibility is offered with the baby carrier of Storchenwiege. The only disadvantage is that longer straps are visible but it is a very handy option if you and your partner differ much in height. There are also carriers that have a hip and shoulder strap with Velcro fastener. These baby carriers, like those of Bondolino are also ideal if there is a large height difference. When you and your partner make a choice, you could consider a preference for straps or knots. What are the difference between a baby carrier made of sling fabric and a sturdy baby carrier? 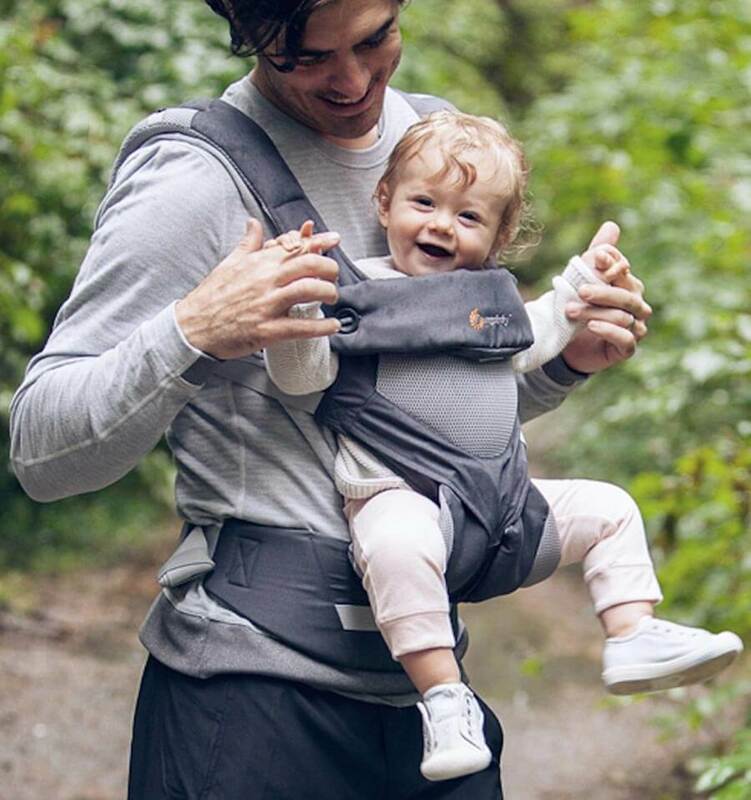 The big difference is that a baby carrier made from canvas offers more sturdiness while a carrier made made of sling fabric is slightly more flexible. Both carriers are suitable to carry your child and the choice is mainly based on preference. A baby carrier made of sling fabric feels cozy and pleasant but a sturdy baby carrier offers very good comfort with shoulder and hip straps. The choice is yours. When you first use a baby carrier of sling fabric it is kind of an art to tie the knots correctly. A baby carrier made of canvas usually has a simple and quick click system to fasten it. Sturdy carriers made of canvas are available from brands as Beco, Tula and Boba. Do you want to carry your child for a long time? When do you switch from baby carrier to toddler carrier? There are parents that especially find it pleasant to carry the baby in the first few months. However, there are also parents who want to keep their child close like this as long as possible. You also have parents that want to carry their child for a special purpose, such as a hiking holiday for example. For all these specific wishes, there are various suitable carriers available. A baby carrier can for example grow with your child if the width of the seat can be adjusted. 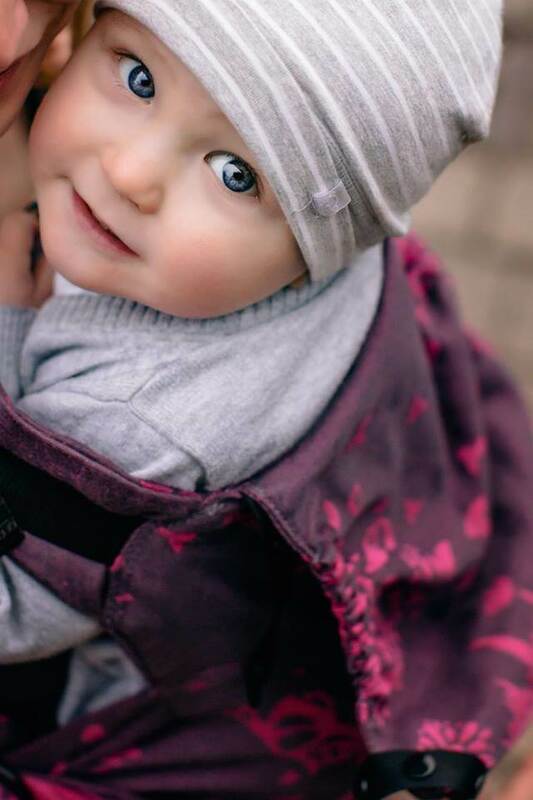 Normally the baby carriers offer excellent comfort till your child has clothing size 80/86.With each carrier it states up to what weight your child can be carried in it, for example 15 to 20 kilograms. However, this may vary per model. With the baby carriers you can switch to a toddler carrier after a while. Toddlers can be carried in a toddler carrier from approximately clothing size 86. The difference between a baby carrier and a toddler carrier is that optimum support is provided to the back and legs of the toddler. As the toddler carrier is wider and longer so your child experiences all the comfort in the carrier. A carrier for toddlers is also ideal to go on long walks. Some models that are perfect for this, are the Beco Toddler Carrier, Rose and Rebellion Preschool Carrier and the Tula Toddler Carrier. Do you prefer light and compact? Baby slings are the lightest and most compact just like the carriers that are combined with sling fabric. A carrier made of sling fabric is easy to take along with you, wherever you go. There are even very compact versions available. You can fold these and take them along in a small bag. The Boba Air is an example of this that you fold and close with a zip to turn it into a carrier bag. This is a great choice if you want to bridge short distances. Do you want to go for longs walks of even go on holiday then a sturdy baby carrier is recommended. 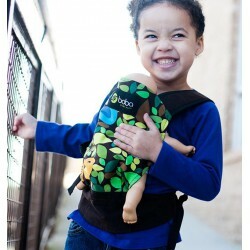 You could for instance think of a Beco Toddler Carrier. Do you select a carrier with integrated insert, without insert or separate insert? As explained an infant insert (seat reducer) is an interim solution and supports the legs, the back and the head of the baby. Plus, you place the baby higher in the baby carrier. However, this is not almost the most ideal choice. In summer it can be really become hot for your child to be carried in a carrier with this interim solution. However, it is of course possible to select a carrier with insert. In that case, it is handy to select a baby carrier with integrated insert. Both Manduca as Boba offer this possibility. Do you prefer to go for a separate insert? Then the versions of Tula and Ergobaby are recommended. Are there carriers that you can wear on your stomach and back? Most baby carriers can be worn both on your stomach as on your back. If you choose a carrier where the shoulder straps must be tied, this might be less practical. Please consider this, but again it is what you personally prefer. In the beginning it is of course more pleasant to carry your baby on your stomach so you can keep an eye on it. 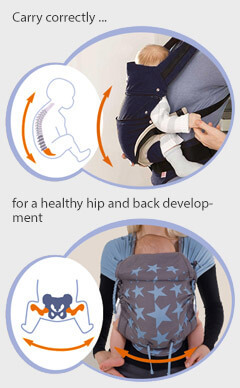 From the moment that your baby can support its own head, you can wear the baby carrier on your back. This should also be the moment that you feel comfortable to carry your baby on your back in a baby carrier. This can also depend on the child. As the child gets older, it will become more lively and of course curious about the surroundings. Plus, the weight will increase and you will notice this on your shoulders and back. That is an excellent moment to choose to carry your baby on your back. Is it possible to carry your child with its face forward? It is possible but not really recommended. There are two baby carriers that provide this with an ergonomic carrier and those are the Ergobaby 360 and the Beco Gemini. These are namely equipped with a bucked seat so the pelvis of your child is tilted in the correct way. The back retains the right bulging. With the Ergobaby 360 the seat is slightly more structured than with the Beco Gemini. The reason that it is not recommended to carry your child with its face forward is that there is no protection against overstimulation. The safety and security is lacking but these are present when its face is turned towards you. When your child gets older and discovers the world around itself you can choose to carry your child on the back. There will still be security and safety plus it is possible to look around. After all the tiring impressions, your child can then drift off to a lovely sleep in the baby carrier. But if you like to carry your baby on your stomach with its face forward please use a carrier that is suited for this, such as the Ergobaby 360 or Beco Gemini and do not carry your baby in this position for more than fifteen minutes. By the way you can also use the Ergobaby 360 and Beco Gemini to carry your child with its face towards you. First you should consider what type of baby carrier you prefer. For example, a baby carrier, baby sling or other type of carrier. Plus, the preference for a carrying position is important. Do you want to carry your baby on your stomach, back or hip? Or would you like to carry your baby with its face forward? However, this is not recommended as the baby does not get any protection again incentives. But if you make this choice, do select a model carrier that is specially designed for this. At least you will be assured of a carrier with an ergonomic shape. Please also consider if you prefer a baby carrier with a click system or a knot system. Obviously, the age of your child also plays a role. Children can be taking along in a carrier for a long time, but the type of carrier that is suitable, depends on the age. There are for example special baby carriers but also toddler carriers available. Based on age, clothing size or length of your child you will have to make a selection from the offer. It is even possible to make a selection based on warm weather conditions. 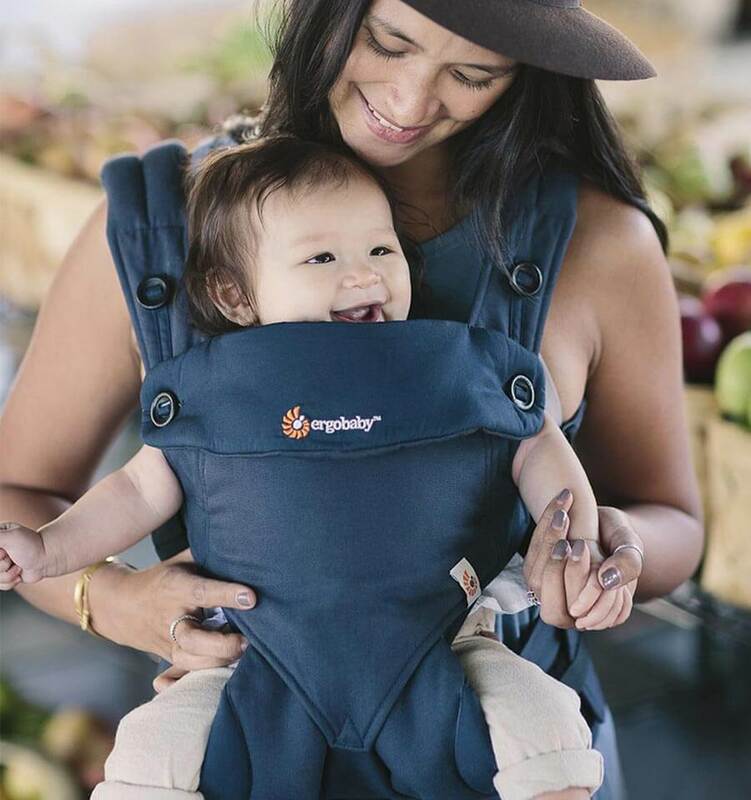 For example, if you are going to a tropical region or to a country where it is really warm, then you can select a baby carrier made from breathable cool air mesh material such as the Beco Toddler Cool, Tula Coast Carrier or Ergobaby 360 Cool Air.